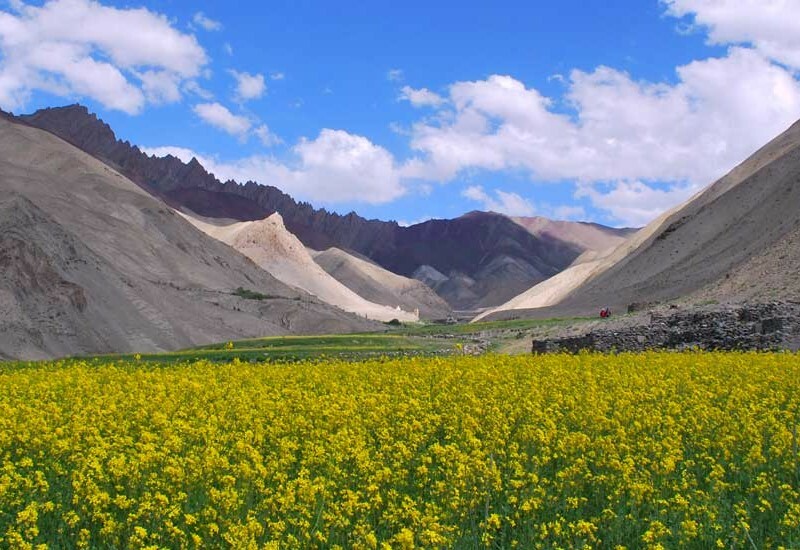 Stok Kangri and Kang Yatse are two beautiful 6,000 m plus trekking peaks in Ladakh. Though the latter is less popular as it is a bit tougher. Climbing two 6000 m peaks back-to-back is quite a challenge and that’s something we passionate mountaineers will be doing through this expedition. Stok Kangri (6,137 m/20,165 ft) is the highest mountain in the Stok Range of the Himalayas in the Ladakh region of northwest India. 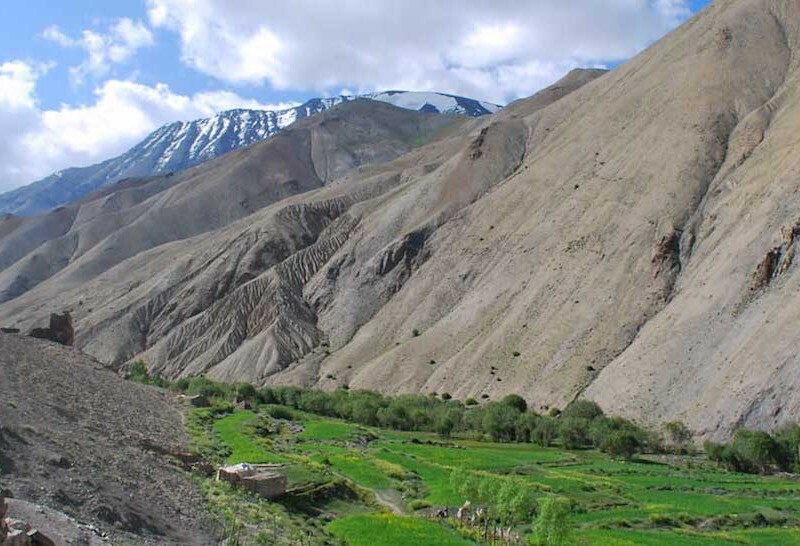 The peak is located in Hemis National Park, 12 km southwest of the trailhead in the village of Stok and 24 km southwest of the Ladakhi capital of Leh. Stok Kangri is considered to be a suitable ‘starter expedition’ for fit trekkers. It is an excellent first Himalayan peak and no previous experience of high altitude or mountaineering is required. We will be approaching the peak through a short trek from Spituk crossing the 5,000 m Stok La pass, passing through Mankarmo and reaching the base camp. Not too far from Stok Kangri is the majestic Kang Yatse 2 peak standing tall with its other namesake peaks at 6,200 m/20,341 ft. There are two approach routes to this peak. 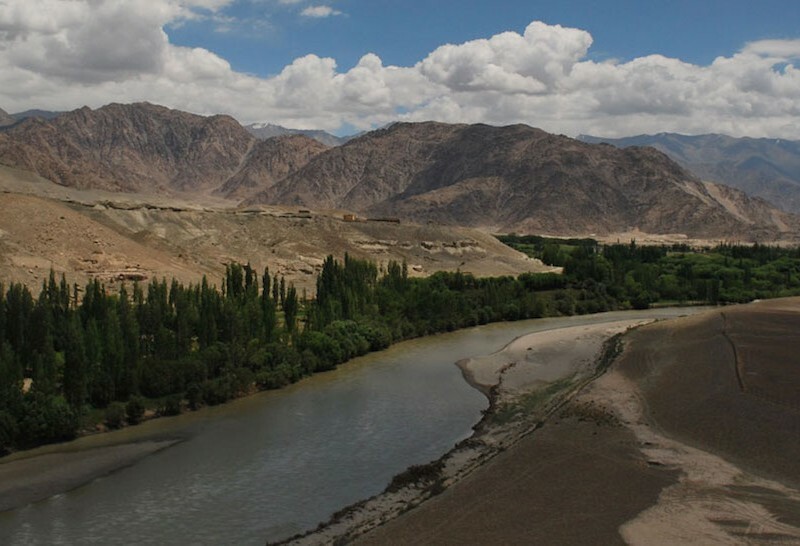 One is from Chilling and trekking through the Markha Valley, passing by the villages of Skiu, Markha and Hankar. Another approach starts from the village of Shang Sumdo and steeply climbs up the Markha Gorge passing by the campsite of Chyuskirmo, Lartsa and then climbing the Kongmaru La, a 5,130 meter high pass to reach Nimaling. We will be taking this route. The expedition would appeal to passionate mountaineers and trekkers who have had prior high altitude trekking experience. The expedition itself is very strenuous but the thrill of back-to-back 6,000 m is exhilarating for a passionate mountaineer. Day 1 / Arrive in Leh. Day 2 / In & Around Leh. Acclimatisation & Rest. Day 6 / Rest at Stok Kangri Base Camp. Acclimatise. Day 8 / Buffer Day. Day 9 / Trek to Stok Village. Drive to Shang Sumdo (3,660 m/12,007 ft) and overnight camp there. Day 11 / Cross Kongmaru La (5,130 m/16,830 f) and trek to Kangyatse Base Camp. Day 12 / Rest Day and acclimatisation at Base Camp. Day 14 / Buffer day. In case of bad weather. Day 15 / Trek to Shang Sumdo. Drive to Leh. Day 16 / Depart from Leh. Camping & Trekking equipments including tents, carry mat, dining tent, toilet tent, hot water bottles, gas heater (when needed). 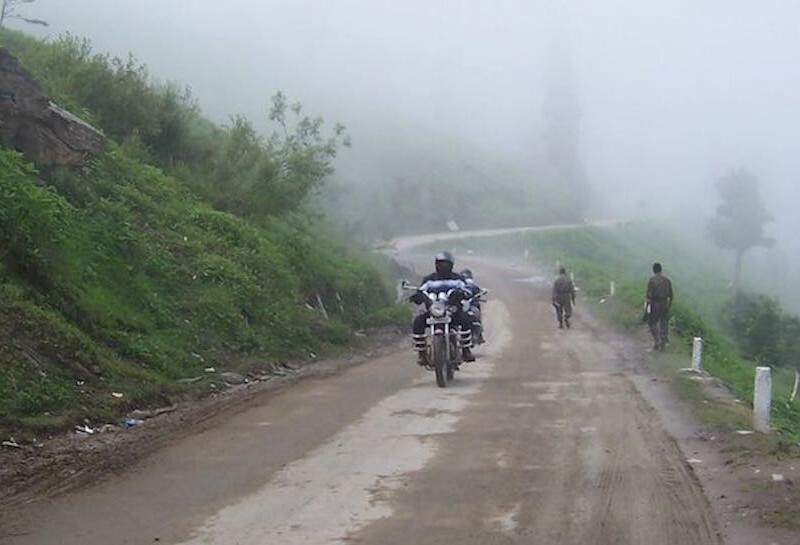 Airport transfers and transport during the trek. Personal clothing - incl. jackets etc., Sleeping bags (could be arranged on request). Accommodation in Leh. Could be arranged on request.